Hi there my Lovelies. 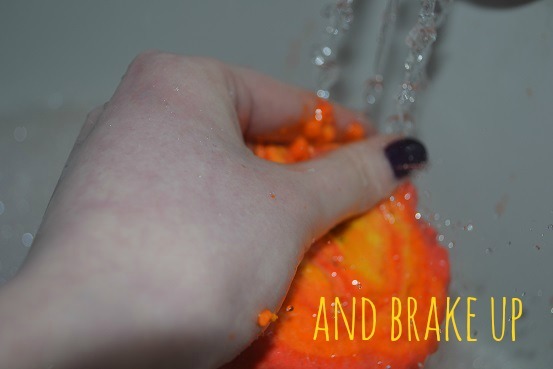 Today i'm here with a review on one of my favorite lush bubble bars, Sadly this is limited edition and I think i'm going to have to go out and get ten of these to stock up before I have to say a sad fair well till next year, the bubble bar that I love so much is called the Brightside. 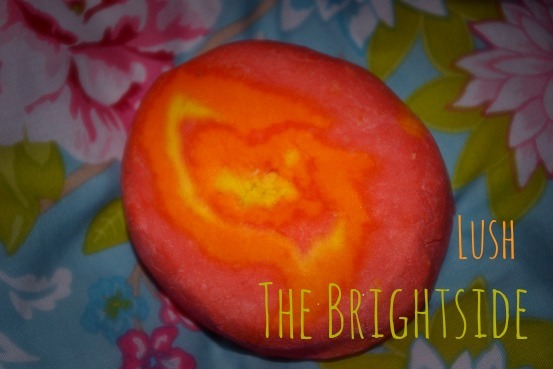 The Lush brightside bubble bar is huge and can easily do between 2 and 3 baths but for the purpose of this review I hoyed it all in my bath. 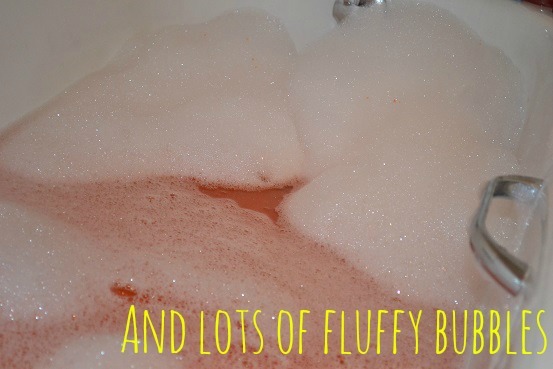 This bubble bar is not like lushes ushaual bubble bars this one smells like an orange its so nice and refreshing and is dubble the size and im afraid is dubble the price as well. It reminds me a bit of the comforter but this one is much better in my eyes. Because of the size this bubble bar took a bit of braking up so I would recommend if you want more uses then you cut it with a knife. 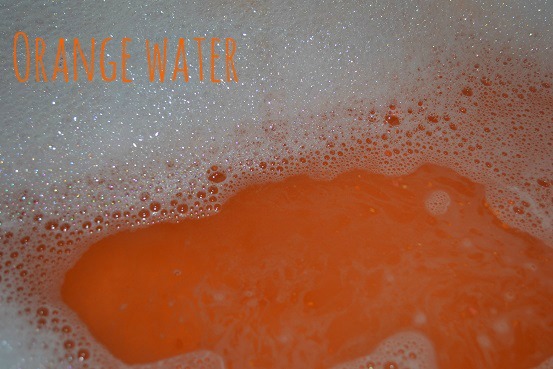 As you can tell this bubble bar turns your water orange and creates a bucket load of bubbles that smell amazing. Lush Says | Everything’s bright about this bubble bar, from the swirling orange and red colour to the juicy citrus fragrance. Simon calls this scent ‘Triple Orange’, and it’s easy to see why – close your eyes and you can imagine you’re lying in a sunny orange grove (without the danger of falling fruit landing on your head!) If you prefer to keep your eyes wide open, you’ll enjoy the sight of vivid orange water and mountains of foamy bubbles. My thoughts | this bubble bar smells and feels amazing, it moisturizes the skin leaves it feeling refreshed and smelling amazing. 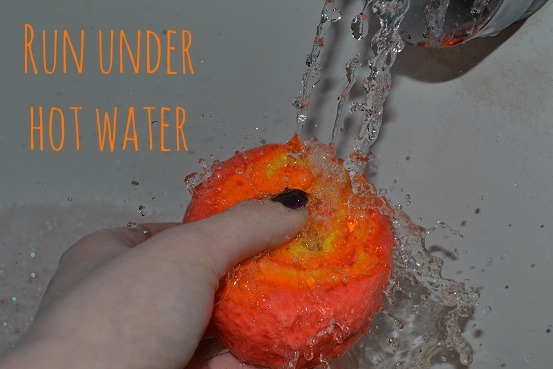 Its twice as big as normal so you can enjoy more baths with it or through it all in the bath to create a bunch of bubbly goodness. 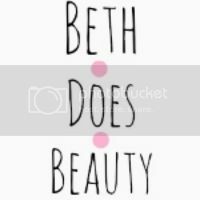 I would defiantly recommend this bubble bar but if you want it I would get it quick as just like a cream egg its hear today but gone tomorrow or more like gone by the end of this month as it is part of the eater collection. do you like this bubble bar?